We have not met since the 26th of November, when we were all dancing together at Netherfield. So, Elizabeth will have to repeatedly relive the Netherfield ball. A party might sound like a fun thing to relive, but you may recall that the ball was actually not that enjoyable for Elizabeth. She had the misery of dancing with Mr Collins and all of her family, with the exception of Jane, humiliated her. Mr Wickham had promised he would be there but didn’t show up, and she had to endure a dance with Mr Darcy, with whom she argues. Elizabeth doesn’t immediately repeat the day; the first time things get as far as the party from Netherfield leaving for London, so when Elizabeth realises that the day is repeating, she focuses on trying to stop them from going. At supper, Elizabeth – through sheer force of personality – cajoled Mr. Darcy into sitting next to Caroline. Elizabeth felt like an animal keeper, feeding a snake a particularly plump mouse, but if Caroline was the key to her escaping this nightmare, Elizabeth would give her whatever she wanted. 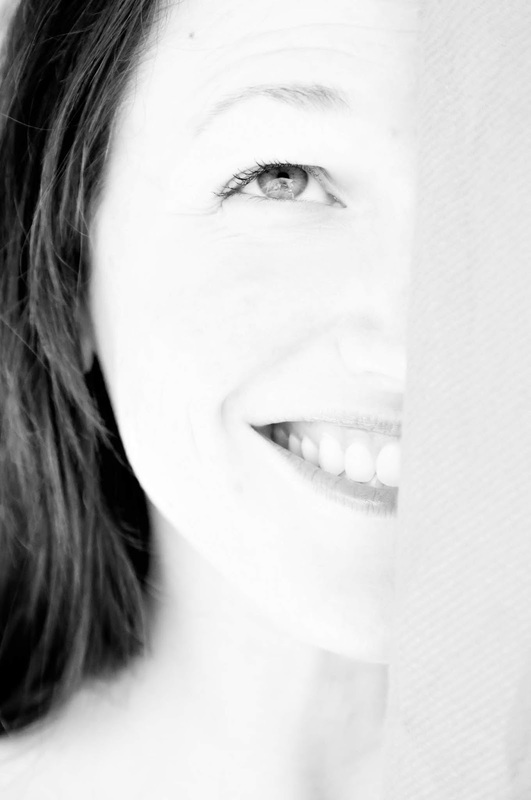 She went through the dance in good cheer and couldn’t keep the smile from her face at the sheer absurdity of it. That Mr. Darcy should be her preferred partner! And all because he had a wonderful sense of rhythm and kept his eyes above her neck. It really was impossible not to smile. She snorted loudly as she had heard Lydia do. It hurt her nose a bit, but the look on Mr. Collins’ face was well worth it. But some of her behaviour was crossing the line for me, and I admired her less for it. I also found some of her behaviour quite unlikely, even in a situation with no lasting consequences, because it seemed out of character. This was a light-hearted book, and there were lots of parts that were very amusing. 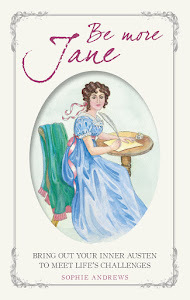 I liked that the author gave Charlotte Lucas a few times to air her views, as she’s a clear-headed observer, and is a character that is often overlooked in JAFF. There was also a good quantity of page time with Elizabeth and Darcy interacting, and these were my favourite parts. Every time that Elizabeth danced with him she would learn something new, about Mr Wickham, something about Darcy himself, or, even more interestingly, hints of how Darcy regarded her... sigh! I loved watching Elizabeth’s change in sentiments unfold. I also really liked the ending. 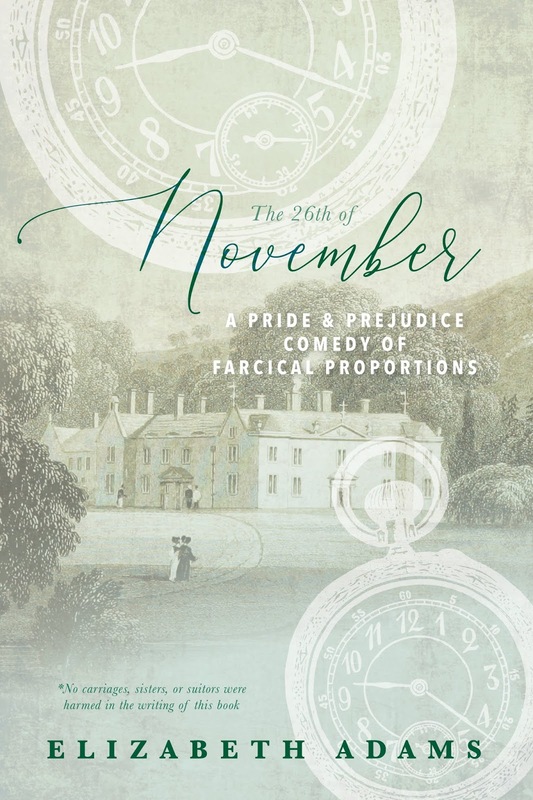 In summary, if you’re looking for a fun, light-hearted read that puts Elizabeth through the mill rather than poor Darcy, and you’re willing to suspend your disbelief a little, then this might be the book for you. I enjoyed this book and I’d rate it as 3½ stars. 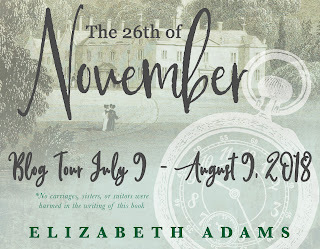 Elizabeth Adams is a book-loving, tango-dancing, Austen enthusiast. She loves old houses and thinks birthdays should be celebrated with trips - as should most occasions. She can often be found by a sunny window with a cup of hot tea and a book in her hand. She is the author of historical books The Houseguest, Unwilling, Meryton Vignettes, and On Equal Ground, as well as Green Card, a modern comedy. 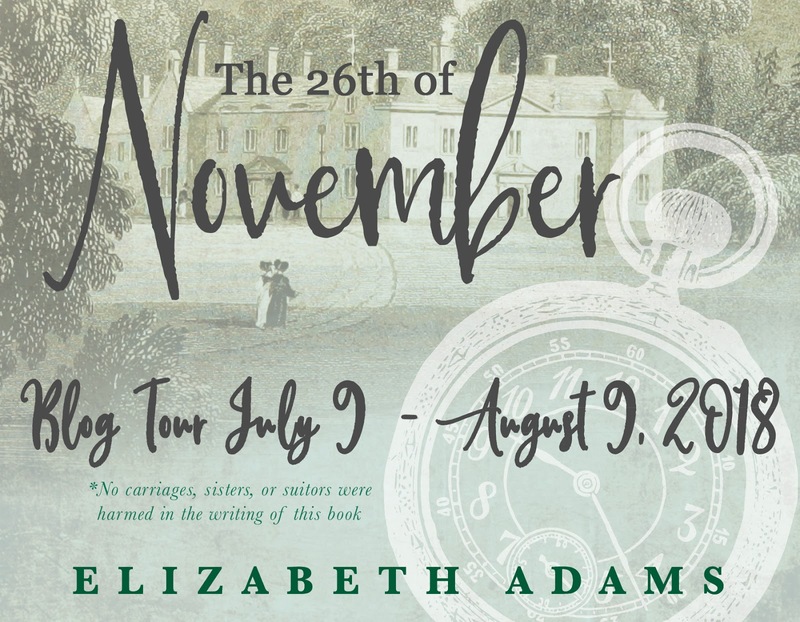 Elizabeth Adams is offering five copies of The 26th of November, 5 audiobook codes, each good for one of her audiobooks and two autographed paperback copies of one of her books, readers’ choice from her catalogue. The giveaway runs until midnight, August 11, 2018. I can't wait to read this. I loved the 'Groundhog Day' experience with Darcy and it is only fair that Elizabeth have her day. I already have all of Adams books and I don't do audio... so I am limited to just this 26th book. Congratulations on the launch of this work and Blessings on any other plot bunnies you have clamoring to be heard. Hi Jeanne. I am glad to see Elizabeth put through the mill as well. Poor Darcy is too often the victim! I hope you enjoy the book when you read it. I love Groundhog Day and am so happy to see this premise utilized with Elizabeth repeating the same day. I can't wait to read! It's a fun premise isn't it! I quite curious about this story. I love Elizabeth's other books so this is a must read. I still have to catch up on reading all of Elizabeth's other books. I hope you enjoy it when you read it, Becky! Sounds funny! Love your review, Ceri. Glad you enjoyed it, Maria! Thanks for commenting. Lovely review Ceri! I was never a fan of the 'Groundhog Day' theme until I read the one on Darcy. Now to have one with Elizabeth should be fun! Thank you for a chance at the giveaway! How's the decorating coming on your reno? I like the Groundhog day theme, because I think how much of a difference it'd make on the late days, with all the things you've learned. If you think of Phil Connors with his list of chores on the last day, it's a perfect example. The work on my house is very nearly complete, thank you for asking. There were some hard times but I am so thrilled with the result, my kitchen is now my favourite room of the house, it's a lovely space. When I look at my former kitchen I am amazed that I ever coped with such a teeny tiny space! Thanks for the review, Ceri, this sounds like fabulous fun! Huge thanks, Elizabeth, looks like a very happy holiday with your book!! Can't wait to grab a lime & soda (or a pint of porter like the dastardly Willoughby ;) ), put my feet up and treat myself to it! I can’t wait to read what eventually breaks the spell and what type of antics she goes through to learn more of Mr. Darcy and Wickham’s true behavior. Thank you for the giveaway opportunity. Hi Dung. As the days go by Elizabeth realises that Darcy is capable of giving her the most interesting conversations she has at the ball, so she begins to draw him out, just for something new. And this leads her to learning more. I loved reading their conversations. Thank you for joining the blog tour, Ceri! And thanks to everyone who commented. I hope you enjoy the book! Thanks for stopping by to comment, Elizabeth. I hope you've enjoyed reading all the comments. 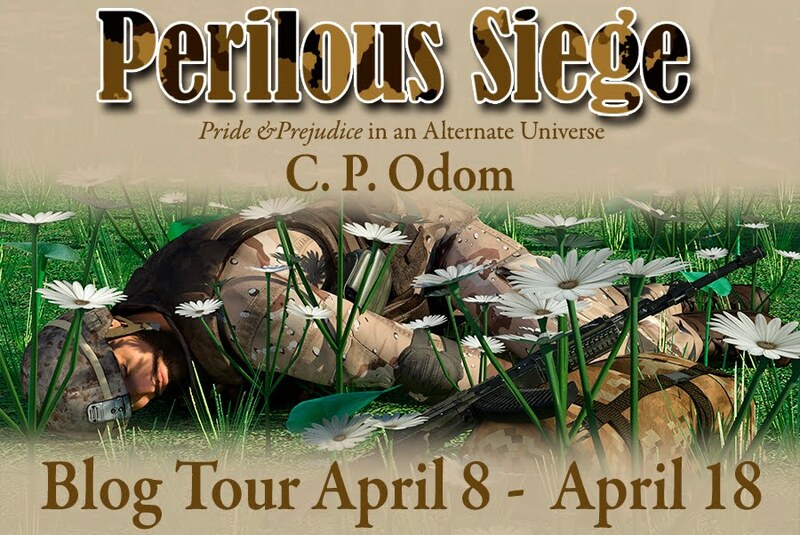 Thanks for letting me be part of the blog tour. I was very happy to take part. I love this type of story and can't wait to read it! Best Wishes EA on your new publication! I can’t wait to read this! I love the Groundhog Day angle and can’t wait to see how Lizzy handles it and what mischief she makes along the way. Thank you! She is very naughty very quickly, Laura! I've just finished listening to Elizabeth's On Equal Ground. Yes, there were parts when a number of tears may have pit in an appearance. Fortunately, I wasn't driving on my commute at the times concerned! Thank you for the warning, Anji; tears when driving are not good! I have On Equal Ground on my TBR list. I appreciate your review, Ceri. I'm curious about the parts where you thought her behavior was unlikely and crossed the line. I wonder if I'll agree. I also think that, if such a situation were ~ever~ possible, one could be pushed to try almost anything, no matter how out of character it might be. I have not read this book and would love to do so. I have enjoyed other of her books. Thanks for sharing. Hi Sheila, I hope you enjoy it when you read it. It's lots of fun. I find the premise of this novel fascinating. I confess that I've never read the book you mentioned, Ceri, but it sounds quite familiar. Can you please name the story that has Darcy repeating the Hunsford proposal again and again? Thank you. And your review is a balance, telling us what you like and don't like about the novel. Hi there Luthien. I have read two books that both make Darcy relive the day he proposes at Hunsford (or the day he chooses not to!). I have reviewed them here so you can read my reviews of them if you'd like, they can be located by clicking on the Groundhog day link at the beginning of the post. The titles of the book are Mr Darcy's Valentine by Jennifer Lang, which moves the action to 13 Feb rather than being in April, and the other is The Many Lives of Fitzwilliam Darcy by Beau North and Brooke West. I enjoyed both of these books, but particularly the latter. Thank you for this review, now I want to read the story more than before! Thanks for the review and the giveaway! I hope to share te fun of reading this book soon! I loved the idea, that the Netherfield ball was the day to repeat itself, so many possibilities. I agree, that some Elizabeth's behaviors crossed the line, she was like a naughty child up to tricks and knowing, that she won't be punished, And I know, that Elizabeth wouldn't try to do any real harm to her family. Great review Ceri. Yes, I agree that the Netherfield Ball was a great day to choose for Lizzy to have to repeat. Some of her behaviour was very bad, but knowing that there wouldn't be consequences made it more forgivable.